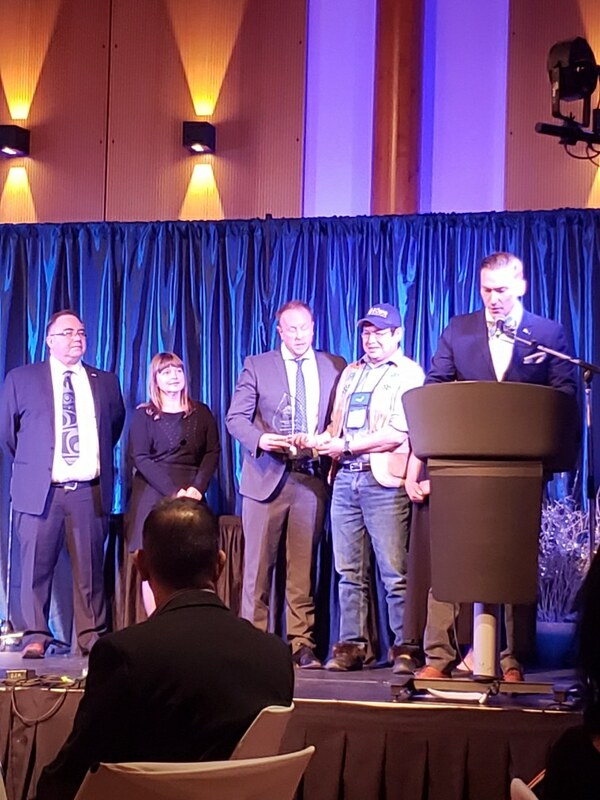 January 22, 2018 - Det'on Cho Corporation is now able to process fingerprints for YKDFN members and/or candidates referred from our partner companies for employment. At Det'on Cho Corporation we can do it quickly, confidentially, and locally. 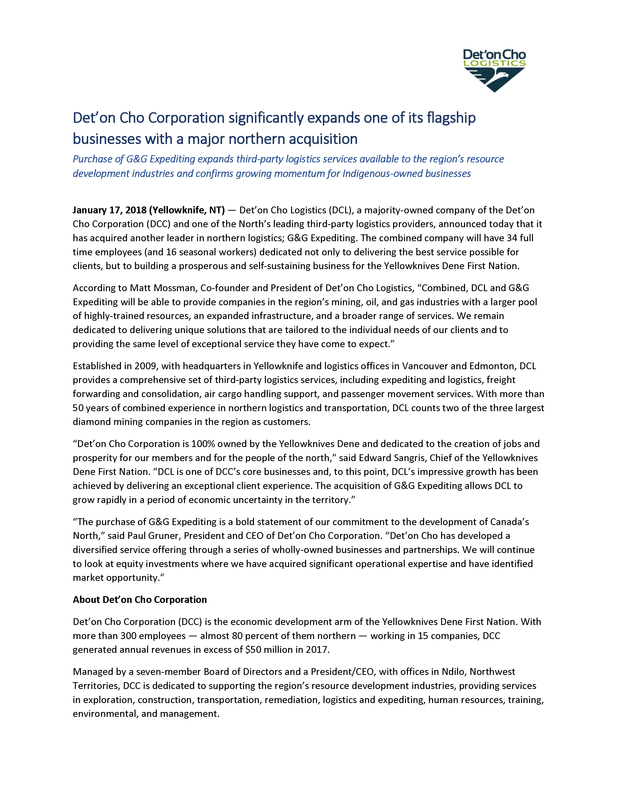 January 17, 2018 - Det'on Cho Corporation significantly expands one of its flagship businesses with a major northern acquisition. 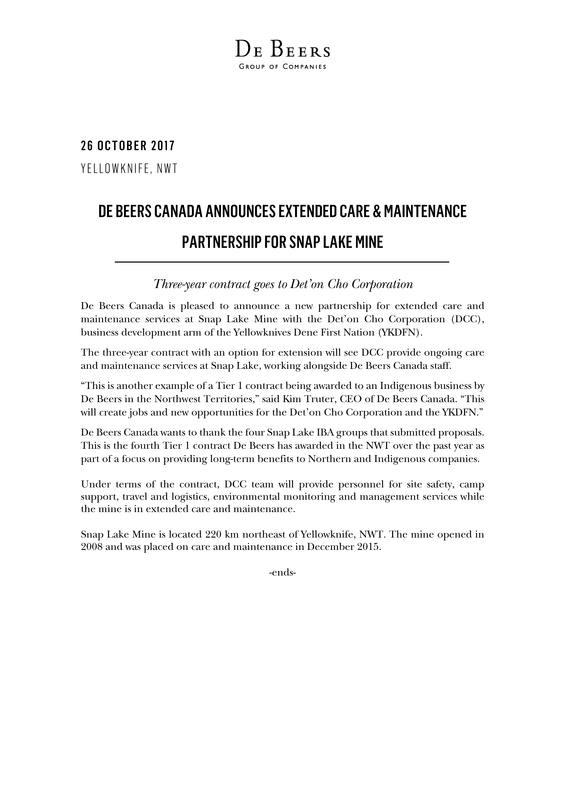 October 26, 2017 - De Beers Canada announces extended care and maintenance partnership for Snap Lake Mine. The three year contract goes to Det'on Cho Corporation. 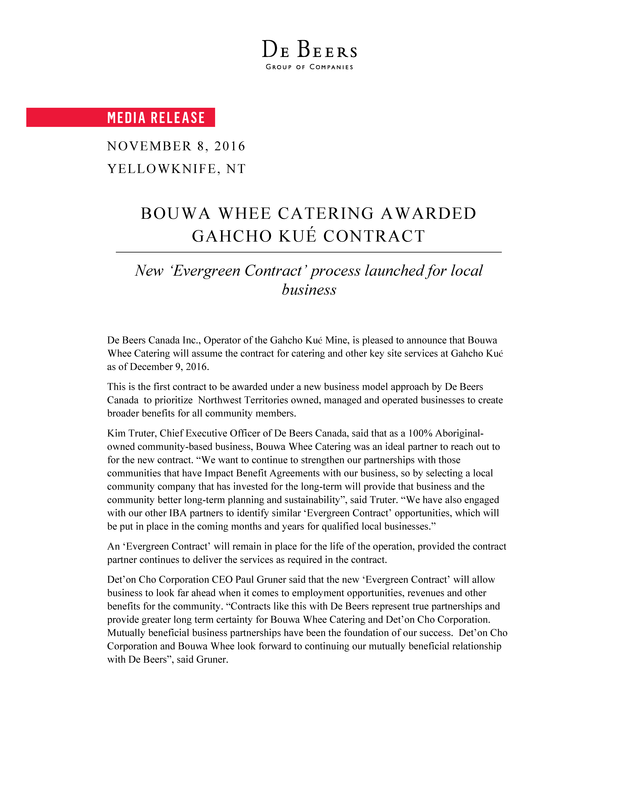 November 8, 2016 - De Beers Canada announces that Bouwa Whee Catering has been awarded the contract for the catering and site services at Gahcho Kué mine as of December 9th, 2016.